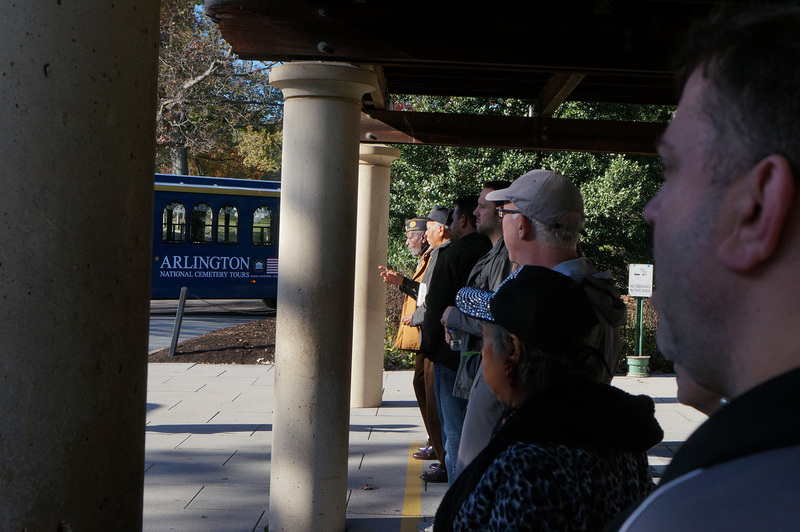 Attendees await shuttle buses at Arlington National Cemetery (Sean Froelich/Medill). 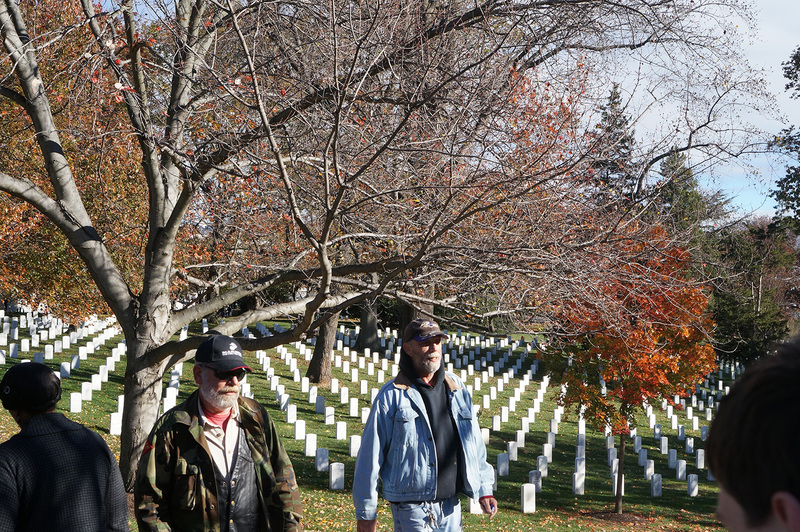 Veterans walk to the ceremony among tombstones (Sean Froelich/Medill). 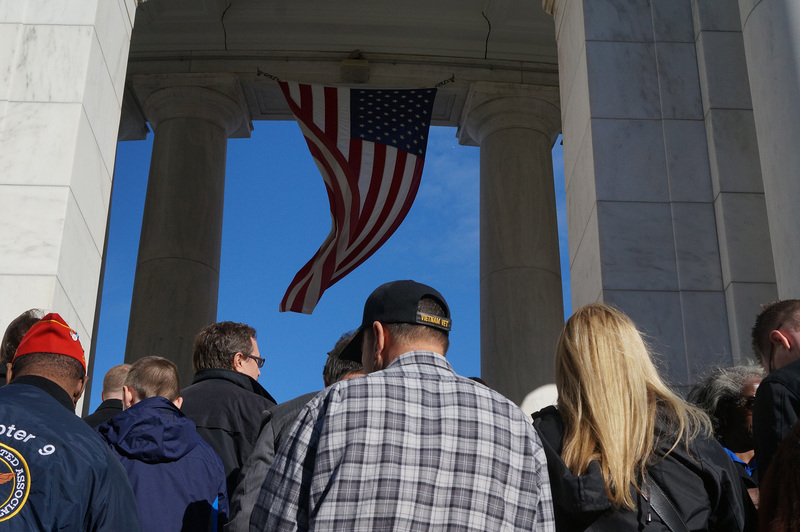 A Veitnam Veteran climbs steps under the American flag (Sean Froelich/Medill). 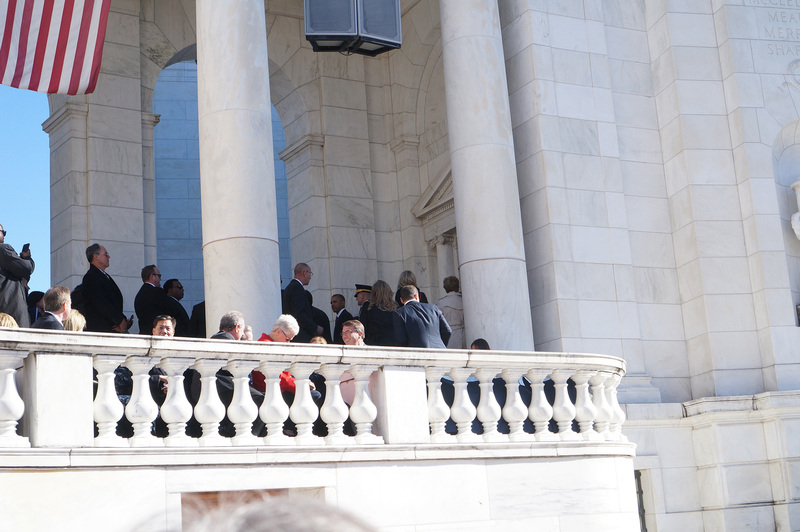 Attendees congregate before the ceremony (Sean Froelich/Medill). 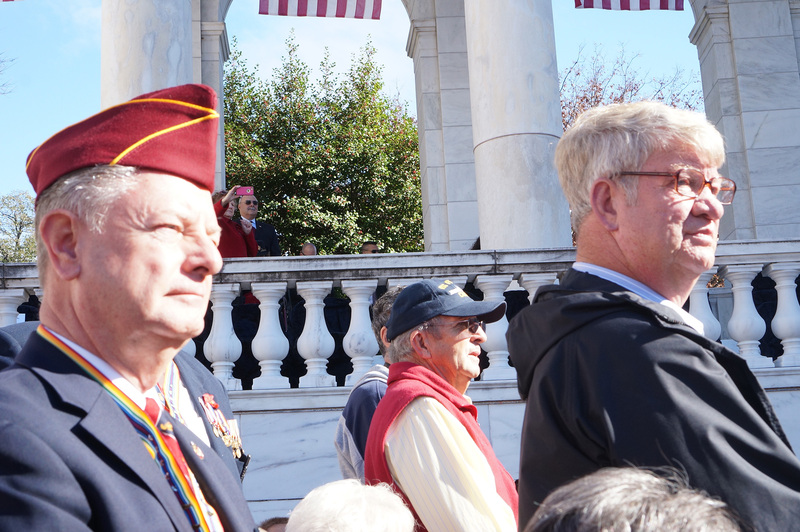 Veterans stand as the military band plays (Sean Froelich/Medill). A WWII vet speaks with another attendee (Sean Froelich/Medill). 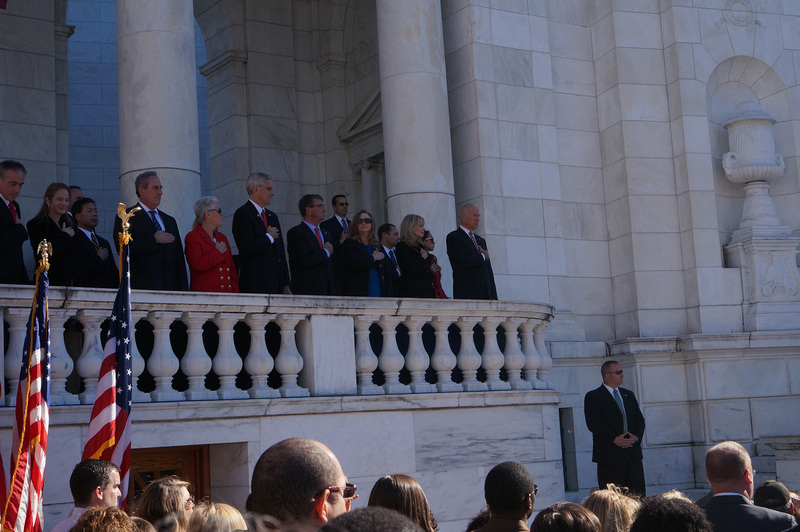 Attendees including Vice President Joe Biden stand during national anthem (Sean Froelich/Medill). President Obama speaks about the need to expand support for veteran health care (Sean Froelich/Medill). 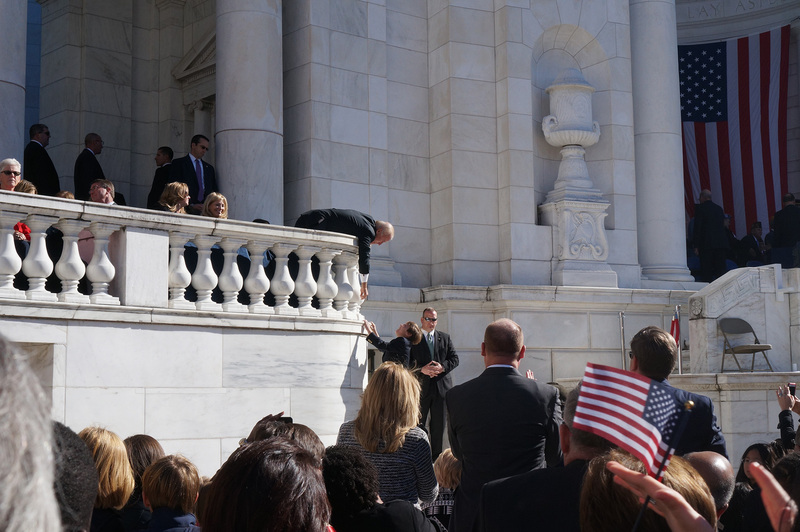 President Obama retires from the ceremony (Sean Froelich/Medill). Vice President Joe Biden reaches out to a young boy (Sean Froelich/Medill). 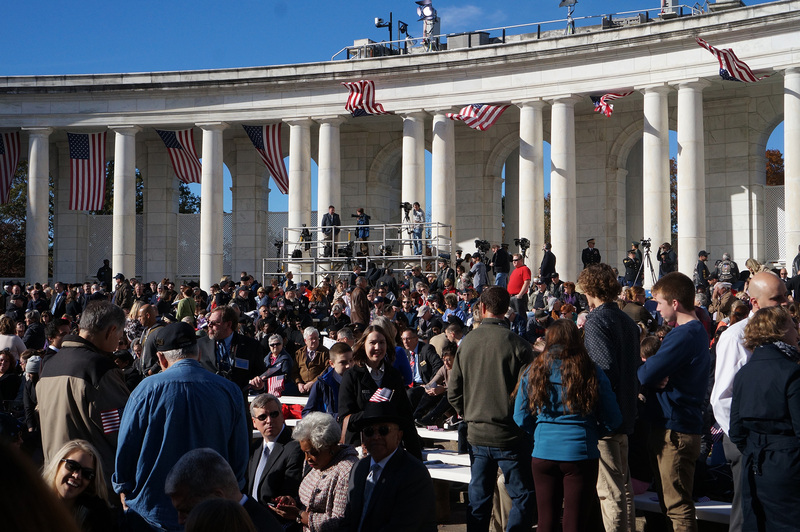 WASHINGTON, DC– President Obama honored veterans during the annual Veterans Day ceremony at Arlington National Cemetery. 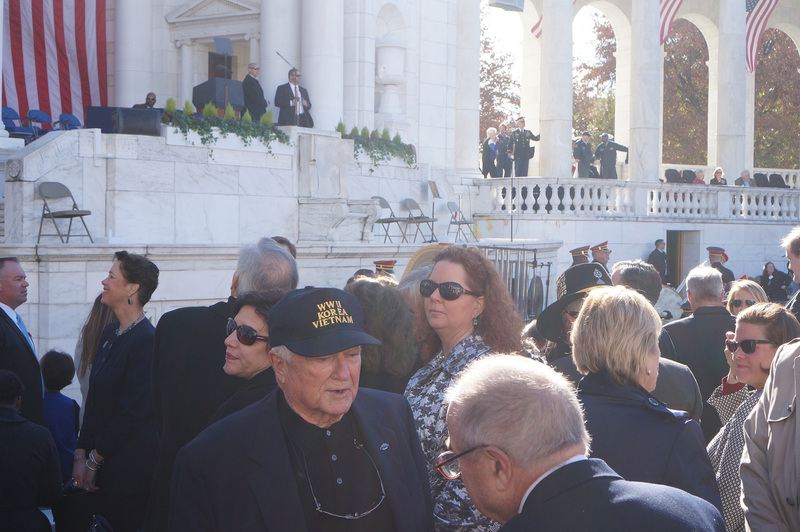 Several senators, as well as members of the joint chiefs of staff attended the event. 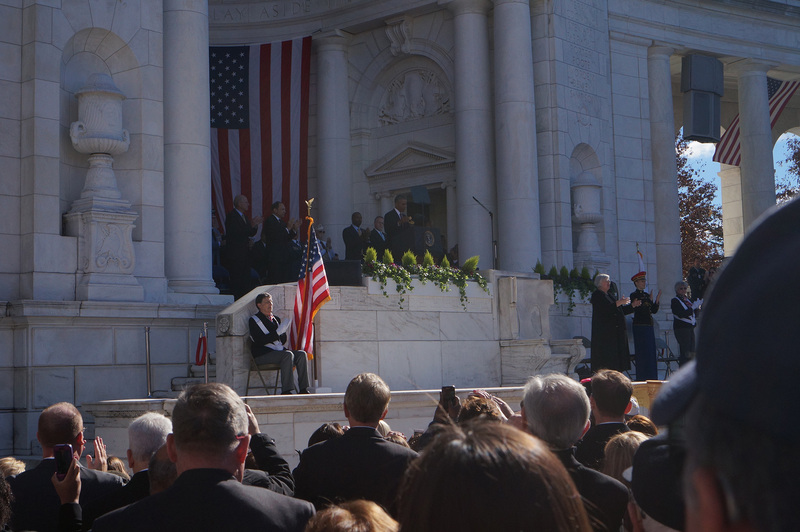 Thousands of attendees showed both jubilation and tears during Wednesday morning’s event.